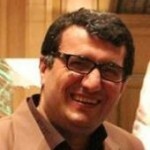 Abdolreza Alemi is a researcher in the field of political sociology with the specialisation in communication, media and online social networks. He is a PhD candidate in Media Studies at the University Malaya (UM) and has more than 10 years experience in related fields. Neda Zoghi works predominantly in Iranian Islamic Illumination, but includes Persian Miniature Painting. She was responsible for scheduling training classes and seminars also for Visual Arts and Islamic Illumination training in Calligraphers association of domain of art in Iran for several years. 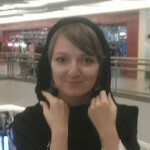 Julia Sveshnikova is a political analyst with the specialisation in Iranian studies. She did her PhD in International Affairs at the Higher School of Economics (Moscow) and MA in Islamic Studies at the International Islamic University Malaysia (Kuala Lumpur). She has a large number of publications on various issues. Amir Roknifard is an information security specialist with an interest in the Middle East politics based in South East Asia.